It's a stickup, nobody move. "We built this thing in secret, but now the cat’s outta the bag!" 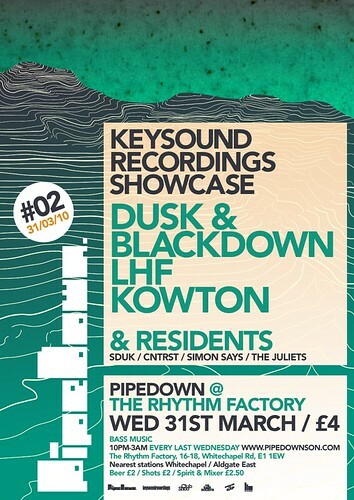 LHF, Kowton and myself get the interview treatment at Pipedown blog. Rinse FM March. DOWNLOAD it here. Is it the last FWD>> at Plastic People tonight? Sign the petition here. ~8,000 people from the Facebook Group haven't yet! 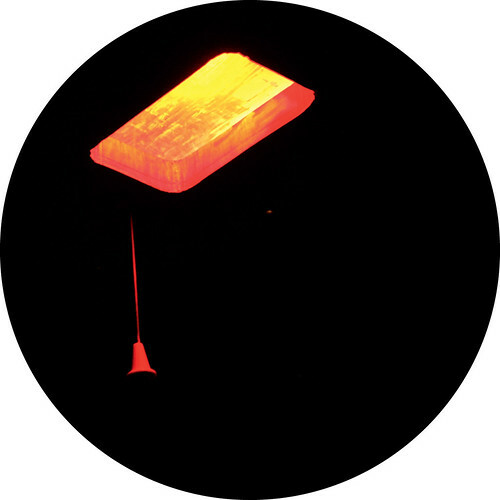 "8bit chips sing like cyborg buskers in Tokyo’s Shinjuku district..."
Blackdown: Hyperdub has become a wonderfully powerful force in certain sectors of the music industry, what does it mean to you to be part of such a creative and influential squad? Ikonika: I thought it was a little daunting at first, because I was a big fan of Burial and Kode9. I understood what Hyperdub meant to so many people and felt that I couldn’t really justify being on a label like that, thinking that this label was too big for someone like me, someone who just accidentally landed on planet Dubstep. I still think I’m a risk, I have no rules and that makes it very hard to label me, but then I just think I wouldn’t be signed to Hyperdub if that wasn't the case. B: Writing an album is often a very challenging process, how did you set out to tackle writing it and how did you find the journey? I: I just had to do it. I’ve learned so much about my music this year that if I hadn’t done this album I just wouldn’t have done anything. I feel invincible and confident. I feel like I could make another album right now! I want to keep moving, do my thing and progress to the next level. I: Some are great and some just don’t make sense…I like balancing dumb with clever. 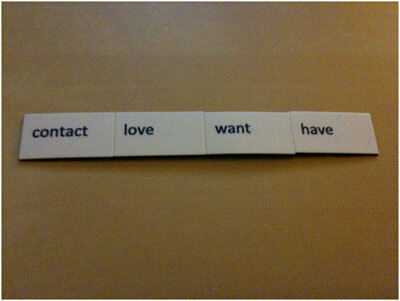 The album title was a bit random, its merely 4 word magnets stuck together. I just thought it was a beautiful collection of words. I like the idea of them talking and getting to know each other in the packet and becoming more and more attached. It’s definitely how I feel about making music right now. ‘Idiot’ could refer to the book, but it doesn’t and I haven’t read it…it was a working title that seemed to work with the wiggle and stomp of the tune, so I just left it. ‘Sahara Michael’ is my Assyrian alias when I’m out with my Assyrian friend. We basically go out and lie to complete strangers. We just do it for a giggle, bit horrible but we don’t care. ‘They Are All Losing The War’ is a song about everyone who is stuck in the mud back there somewhere and can’t get out…I’ve just realised that’s probably not the best analysis of song titles, ever. B: One thing that’s clear from the album is that you chose to avoid vocalists, what was your thinking on a fully instrumental album? I: Well I don’t have any means to a vocal booth, so that’s one reason. But yeah, I just intended it to be an instrumental album because that’s normal to me. I’m the singer, I sing in synths…music is really the only way that truly expresses who I really am, no matter how clichéd that sounds this expression is really important to me. I just want to dance and feel something. B: One musical theme that’s run through your productions for quite some time is the use of dissonance, offkey or sour melodies. How do you go about writing these kinds of melodies and what draws you to them? I: I don’t really know how to play keys so I just smack them until something nice comes out. But I want my melodies to speak. They’re simple, polite and to the point…I guess they're from my attraction to Pop and R&B hooks. I love things that are catchy and memorable, they do turn out a little sour and deranged but that’s what I love about messing around with synths…To me, that’s the whole point, making these machines express their emotions, just like WALL-E. I: I think ‘Ikonika’ is just someone who doesn’t care about following trends, someone who is here to destroy certain elements of the dancefloor and explore new routes, new ways of dancing and new ways of feeling something. Maybe I’m here just to confuse everyone. B: In URB last year you outlined a very diverse series of influences, but sonically your music seems focused. Do you ever have urges to make music sonically similar to Madonna and Dillinger Escape Plan? I: I don’t think I have urges that direct. To me all my influences have this certain vibe about them, the context. That’s what attracts me to make the music I do. I know exactly what I want to achieve. I’m all about contrast, but it has to be structured a particular way. The inlay of the Hyperdub 5 album says ‘camouflage of a sad song’ when defining what the label is. That really speaks to me. B: What’s been inspiring you musically recently and what releases are you looking forward to this year? I: At the moment I’m very excited by people like The-Dream, Salem, Cubic Zirconia and Nicki Minaj. Also producers and DJs like R1 Ryders, Bok Bok, Jam City, Optimum and Kingdom. B: Daedelus recently said he’s into your music but doesn’t feel like its “embodying a female perspective” musically. 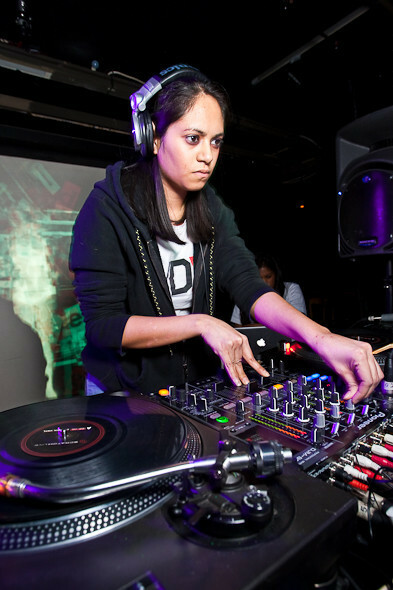 Do you feel your music does or should have to embody a female perspective and more generally, how do you find being a female producer in the male-dominated music industry? I: My music could only embody my perspective. If that means my gender plays a big part of that, then OK. But truthfully I never really know how to answer questions relating to gender. I find it very hard because a lot of females big me up for getting a little attention in the industry. I’m just glad people feel my music and respect the idea that I won’t make an issue about gender, or even exploit gender to succeed. I read another lazy blog post that called me the M.I.A of Dubstep…that’s another issue entirely, but one that bothers me a lot. the thing is people won’t really know what they’re saying or how things will be perceived because they simple don’t know.